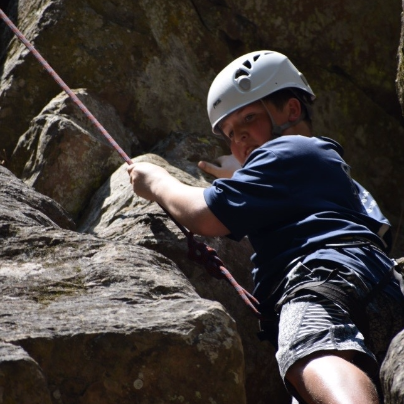 Shasta Mountain Guides offer a fun climbing day which is perfect for the whole family. It is designed for climbers with little or no experience. Cantara Crag is a short five-minute walk from the parking area and is nestled next to flowing water and a nice swimming hole. It makes for an enjoyable location if you are not climbing. Our guide, Joey Iosue was the perfect instructor for two teenage boys. Iosue has more than nine years of experience rock climbing and it shows in the easy way he quickly had the ropes set up. His instructing style was fun and laid back while being completely safety conscious. 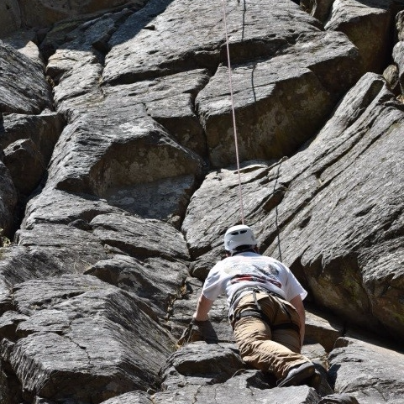 Within a short period of time, both boys were quickly scrambling up the side of Cantara Crag. Iosue started them out on a simple route and, once that was mastered, moved them onto a more technical climb. After mastering rock climbing and working up a sweat it was time for a cooling dip in the swimming hole. It was a great way to end the day. Shasta Mountain Guides can set up the perfect trip for your family adventure whether you want to climb for a few hours or the whole day. Shasta Mountain Guides, 230 North Mount Shasta Blvd, Mount Shasta, CA 96067, 530.926.3117, www.shastaguides.com.